After a field visit in Simiyu region, last October, CIFF, one of CUAMM main international donors in Tanzania, has identified CUAMM “Next Generation Program: joint promotion of nutrition, growth, and development” as a grantee success story and has decided to donate an extra 10.000 $ USD for the training of local staff operating in the project. 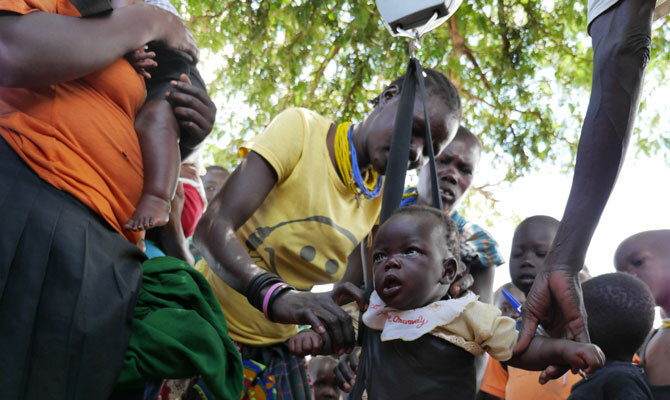 The Next Generation Program has been launched in 2015 in two Tanzanian regions – Ruvuma and Simiyu – spanning four years, with the goal of using an integrated approach to address acute and chronic malnutrition. One of the strategies of the program is to strengthen the local health system by training workers, providing technical assistance in managing health data, implementing government directives, developing relationships with local authorities and connecting communities to the health centers. Therefore, the CIFF donation for the training of local staff is of particular relevance. CUAMM is please to share this news with the public and with everyone who dedicates time, hard work, expertise and passion to guarantee and increase the access to health services to all, particularly the poor and the most vulnerable, such as mothers and children.